What is the difference between VoLTE and LTE 4g? Recently, I noticed a difference in many 4g enabled phones. Some phones are VoLTE enabled while others are simple LTE 4g. Therefore, I decided to check the difference between the two. After some research, I found that Vo stands for voice in VoLTE. LTE stands for Long-term evolution and it was designed for high speed data; but, not for the voice calls. Therefore to address this issue VoLTE is launched which is improved version of LTE and it is capable of making or receiving voice calls. Today, most of 4g phones come with VoLTE technology, thus making it possible to use both fast data and make calls on LTE networks. This technology enhances the voice quality and makes it possible to make HD quality voice calls. Today, all major telecom companies are shifting to LTE network and some of them have either rolled out 4g services while others are in the process. Even if you have a phone which is only LTE enabled but not VoLTE enabled than Reliance Jio has launched an app for making calls over 4g network. Mobile internet technology is constantly evolving, therefore, we see improved in its speed and capabilities. I have been using Reliance Jio 4g from the last fourth month and I got a chance to use its services at a number of places from big cities to a remote village. 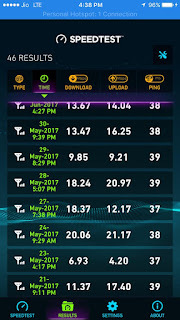 Initially, I found that Reliance Jio 4G was not working properly at many places; however, in last two month, I have seen a considerable speed increase in Jio 4G. 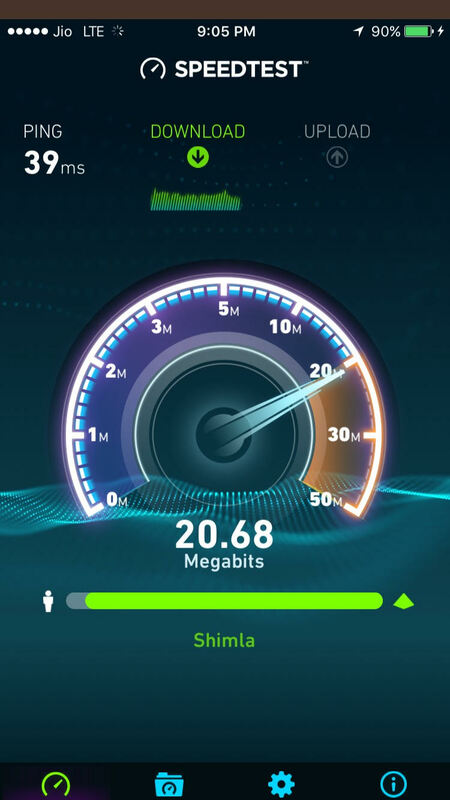 I witnessed a speed of 2 Mbps to 20 Mbps without any problem of connectivity. I am using Jio 4G sim in my iPhone 6 which is 4g enabled phone. I used reliance jio for both internets and calling; and to my surprise, it worked very well. 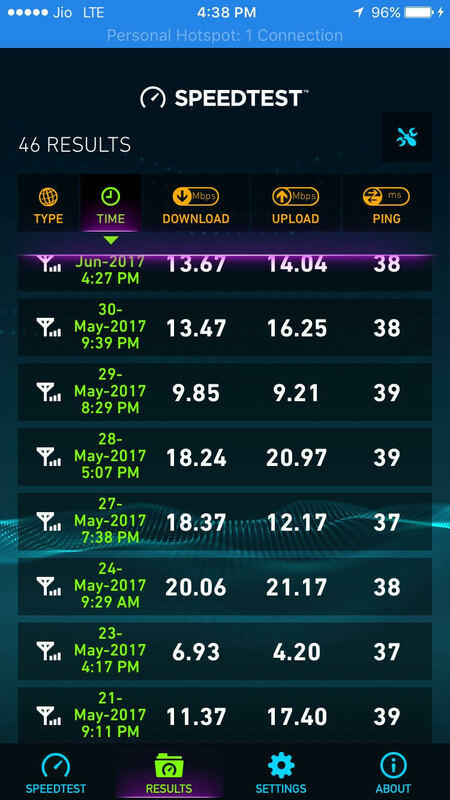 Jio services have improved on all fronts whether it is about making calls or using the internet. The best speed with Reliance Jio, I got at my remote village situated 8 Km away from Baijnath in Himachal Pradesh, here I received speed as high as 20.68 megabits. In my village, the internet connectivity is very poor and I mostly struggle to get connected online. However, this time thanks to Jio, I am connected to the world with 4G speed. Similarly, I used Jio 4g at the town level and in few big cities. I found that its speed is good with a range of 2 Mbps to 8 Mbps. In cities, I believe that reason of slightly slow speed may be a large number of users as compared to small towns and villages. 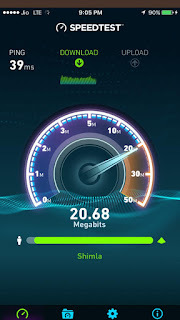 But, still, I am very much satisfied with Reliance Jio 4g because it is giving me much high speed than my conventional wired broadband connection of 1 Mbps and it is 2.5 times economical than that. 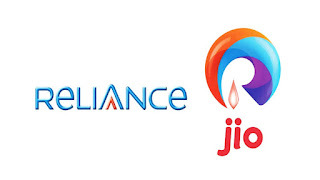 With Reliance Jio, I getting good services at a much affordable rate. From the last three months, I have not paid any money for calling because of the free national calling offered by Jio. I want to say that it is now time to say good-bye to high charges of data, calling changes and other charges by roaming fee etc. I hope that Reliance Jio will come up with more such attractive offers in future too like they have offered in past. I will like to give Reliance Jio 9 out of 10 points for its good service.